Like cooking and gardening, travel and trip planning is an art form unto itself. Local vacations should be worry free and easy, close to home, with plenty of time for relaxing and enjoying the outdoors. Spend some time dreaming, browsing online and planning (well in advance). Laying down a basic itinerary ahead of time will help so you can see more sights - and stress less. maps.google.com is an invaluable tool for planning local road trips, getting an overview, plus an idea of travel time, mileage and distance. Total Escape is now 17 years old and founder DanaMite is celebrating this milestone by cleaning house, redesigning some areas and moving servers. So, this was perfect time to redo the SEARCH tool, aka search box, search Total Escape featured at the top of every page. Please take in mind that there are two different sites that make up Total Escape (not including the blogspot blog, flickr photos or any social media pages). The main content site featuring 4000+ pages of California Destinations - small towns, mountain lakes, parks and forests, lodges, camping, all outdoor recreation, guides, gear, real photos of real places. 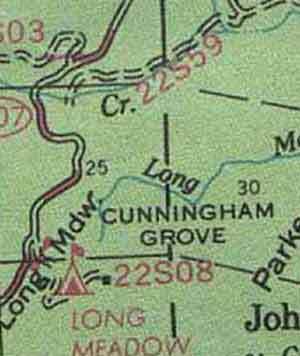 This is the map store site which DanaMite sells topo maps in and around California - so you can get outta the city limits, on the back roads and peacefully lost at the creek. It is also a place to purchase advertising on the Total Escape web site. 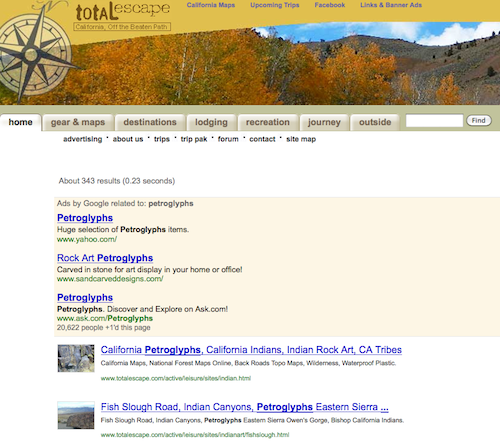 The Total Escape main header has a brand new Google powered search tool in the navigation (top right), which means it is super thorough, accurate results, and stylish, but you're gonna have to live with the ads. This spot will search both the content site and the map products. Topographic map store has a separate search text box for "Search entire store here…" (upper right) that searches only the products inside the store. 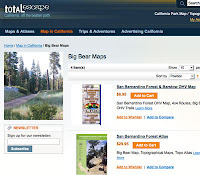 If you are looking for "SoCal desert camping", "rock petroglyphs" or "Mojave ghost towns" the map store will show you products / printed maps only - NOT photos and info on the secret fishing hole. You need to dig deep into the main site for that juicy info. Luckily we just updated the ways to search Total Escape. "Search all of Total Escape Adventures" is now at the very bottom of all the store pages, so you can search Total Escape with ease. use Total Escape for cheap weekends outdoors! 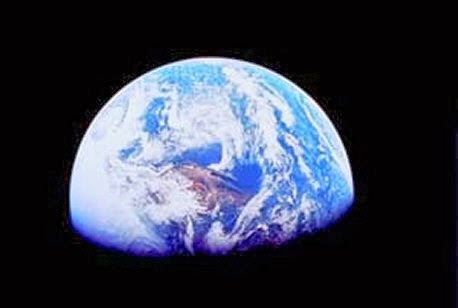 If you are actually searching for prime Organic finds inside California - organic cafes, organic wineries, organic farms, organic bnbs, organic orchards, organic food seeds, farm stands, fine dining restaurants... you will find organic small businesses listed on the A to Z town pages under local links section. Pismo Beach California is the big beach oriented tourist destination along the Central Coast of California & just south of San Luis Obispo. Ocean front sand dunes is the primary draw here at Pismo. The Oceano State Vehicular Recreation Area (aka Pismo Dunes) is a seaside haven for off-roaders wanting cooler temps & coastal breezes. This off road park is actually located between Grover Beach and the town of Oceano, miles south of Pismo Pier. You can actually drive your vehicle on the beach sand & set up camp on the shore. Pismo also has a State Park Beach Campground as well & that is more suited for RVs, family camping & tent camping. Downtown Pismo has several private RV parks, which are walking distance from the popular pier and many restaurants. 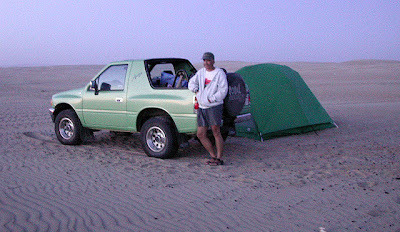 Oceano has a county run campground near a lagoon and close to the beach too. Inland from Grover Beach is Arroyo Grande Lake Lopez, for those wishing to camp in a mountain setting with a fresh water reservoir. Up the coastline, Avila Beach has prime RV camp sites that can be reserved, as well as hot springs camping near the freeway, Hwy 101. Up and around the peninsula is the awesome Montana de Oro State Park, where you can camp in a shady canyon next to a rocky cove & sand dunes. This area is super popular with mountain bikers & hikers alike. It is locate next to Morro Bay State Park and Campground, which is next to a large wetlands lagoon. The Total Escape web site is celebrating 17 years online next month, which means DanaMite has a ton of data. 4000+ independent lodges, 800+ towns, 100+ forests and parks, 2 decades worth of photos and graphics, and a 600+ blog posts, just to name a small sampling. This is the big week: Time to clean up and move servers. After 2 years outta stock status the Trinity Alps Wilderness Map is finally back in stock at Total Escape. USDA recently updated, reprinted and released this long-waited NorCal title and we expect it to be a great seller (just like the last version was). Backpacking, day hiking, horseback, high elevation camping - all campgrounds, roads, trails, waterfalls, lakes, mountain peaks and trailheads. Trinity River, Salmon River, Klamath River, Highway 96, Highway 3, Forks of the Salmon. Surrounded by Six Rivers National Forest and Trinity National Forest, both west of Interstate 5 in Northern California. If you are searching for an alpine lake near a National Park to visit - that is driving distance from Southern California, the dual region of Kings Canyon & Sequoia National Park are easy access. 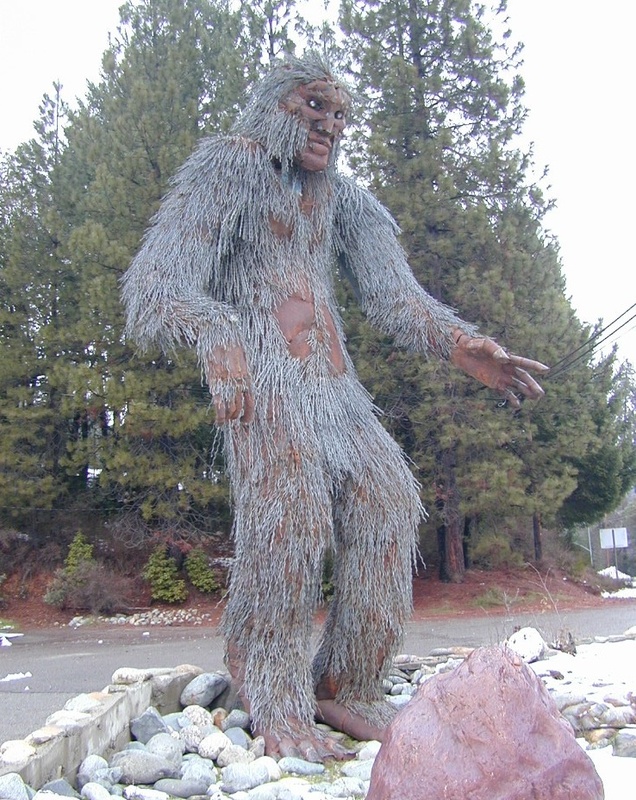 These 2 popular parks are located in the southern most sections of the Sierra Nevada. 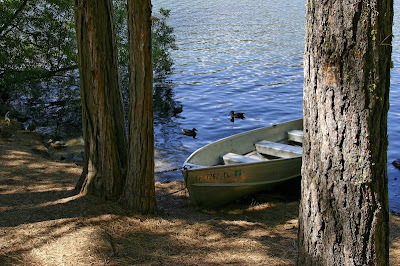 Hume Lake is located in between both of these parks & offers a variety of camping options - cabins, campgrounds, primitive camping, backpacking and horse packs. 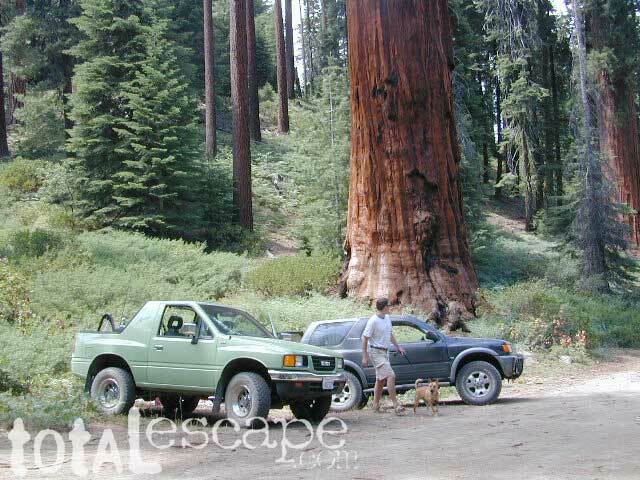 Giant Sequoia groves are to the south via Highway 198, which leads down the hill to Mineral King Road & the riverside village of Three Rivers. Big Meadows Road #14S11 is a prime choice for folks who want to camp away from the National Parks, but still be within driving distance. The further back on this narrow road you drive, the better it gets. 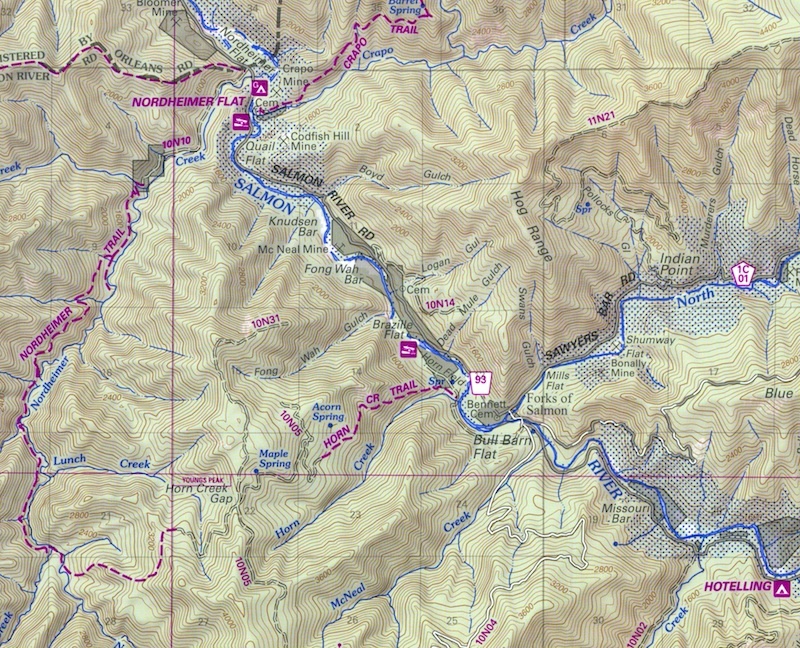 The wilderness boundary is 12 miles back, becoming dirt roads forking off in many directions. Great horse camping near a big meadow too. Buck Rock Fire Lookout is worth a hike up with spectacular views over the whole area. Hume Lake offers kayak rentals, sail boats, fishing & swimming, plus it's centrally located between these popular destinations. 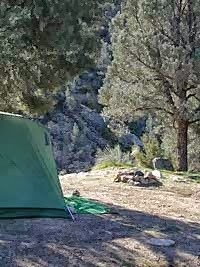 Several small campgrounds are nearby on back roads, as well as the busy lake Campgrounds. Tourists season hear is all summer from Memorial Day to Labor Day. Be prepared to picnic on the shady shores or spend a whole day enjoying this Sierra gem of a lake. Hume Lake is on the west side of Kings Canyon. 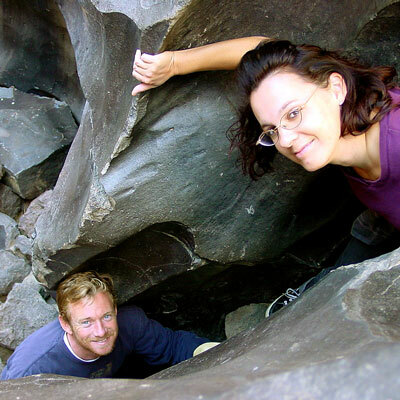 Impressive, deep, granite gorge of Kings Canyon is to the north, with places like Boyden Cavern & Roaring River Falls. You could easily spend a week exploring this canyon. Hiking trailheads and dispersed camping options.